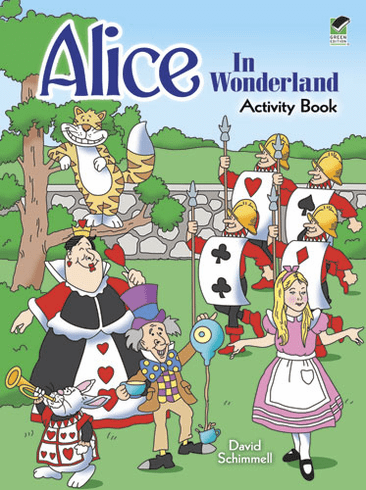 Join Alice, the White Rabbit, Cheshire Cat, Mad Hatter, Queen of Hearts, and other famous characters in a dreamworld of perplexing puzzles. Suitable for ages 7Ð10, the challenges include crosswords, mazes, secret codes, word searches, and more. Kids can color the fully illustrated puzzles, and if they get lost in Wonderland, complete solutions at the end will bring them back home. Author/Editor: David Schimmell. 48 pages. Dimensions: 8-1/4 x 11.